[/custom_frame_left]I was recently dining at one of my favorite restaurants in town and in the middle of our dinner, I turned to my husband and shared that our server has “It”. Our server greeted us with a warm welcome, anticipated and fulfilled our needs, and sent us on our way with a positive opinion about the dining experience. Yep, she really has “It”. 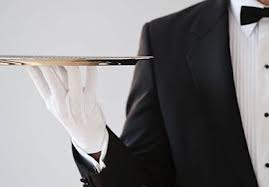 “It” is the Hospitality Gene, and it would be amazing if all service workers encountered at a restaurant, retail store, hotel, or any other service organization possessed it. Not everyone working in a service role has the innate ability to genuinely serve. You can picture in your minds the ones who curtly ask, “What do you want”, or those who make you feel like you have done something wrong in asking for help. However, there are those who do clearly demonstrate the Hospitality Gene. They are the ones who serve you authentically with a sparkle in their eye, engage you, and demonstrate a desire to accommodate you as a customer. These are the type of employees you want to represent your company. Hospitality refers to the relationship process between a guest and a host, the reception and entertainment of guests, visitors, or strangers, with kindness and genuine goodwill. As you look at your staff, identify those with the Hospitality Gene; those without it are your challenge. An achievable goal is to ensure you hire the right service person when you have your next open position. You might wonder, “How do I hire one of these Hospitality Gene individuals?” According to The New Gold Standard, The Ritz Carlton Hotel Company by Joseph Michelli, “A thoughtful process for finding job candidates who are dedicated to service pays bountiful dividends…in employees who produce more, are happier, and stay longer.” It would make sense then, as a business owner, to place importance on the hiring process. We often hire people because they can “fog a mirror”, that is, they are living and breathing individuals who happen in to your workplace just as your star employee has walked off the job. A few cursory inquiry questions later, and an offer is made. Hiring is often done in haste, leaving the company to repent in the long run. No one loves to go through the recruiting process; job descriptions, job posting, resume reviewing, interviewing, and reference checking… who has time for this stuff anyway? Each time you interview a candidate you question, “How do I know this applicant can do the job?” or “How do I know if this person will fit in to my organization?” The wrong hire can be expensive to your organization, but the recruitment process doesn’t have to be risky. 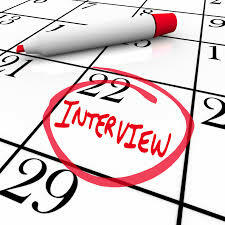 The next blog will offer useful tips for interviewing that will create the process for you to hire the Hospitality Gene!